Today we will be talking about some of top tools which can be used to securely and completely wipe Hard Disk so that the data on it can not be retrieved by any means. Many of you may not know, but deleting files or even formatting your hard disk does not removes files from your hard disk and can be retrieved easily using tools available over the web like file recovery software. You need to wipe Hard Disk using tools specially made for this purpose so that your critical data cant be used by any one else. I have talked about Eraser already few months back. It is an advanced security tool to completely remove sensitive data from hard drive by using the technique of overwriting it several times with carefully selected patterns. 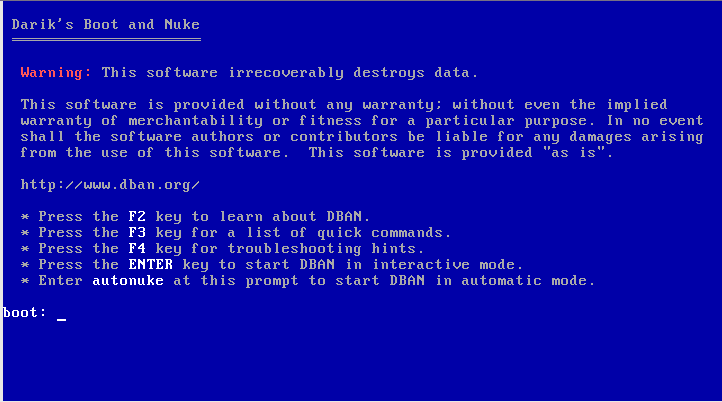 Darik’s Boot and Nuke (“DBAN”) is a self-contained boot disk that securely wipes the hard disks of most computers. DBAN will automatically and completely delete the contents of any hard disk that it can detect, which makes it an appropriate utility for bulk or emergency data destruction. DBAN prevents or thoroughly hinders all known techniques of hard disk forensic analysis. -cÂ Â Â Zero free space (good for virtual disk optimization). 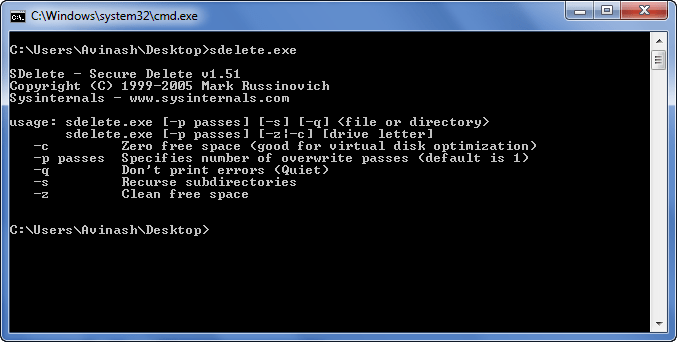 -p passesÂ Â Â Specifies number of overwrite passes. -sÂ Â Â Recurse subdirectories. -qÂ Â Â Don’t print errors (quiet). -zÂ Â Â Cleanse free space. 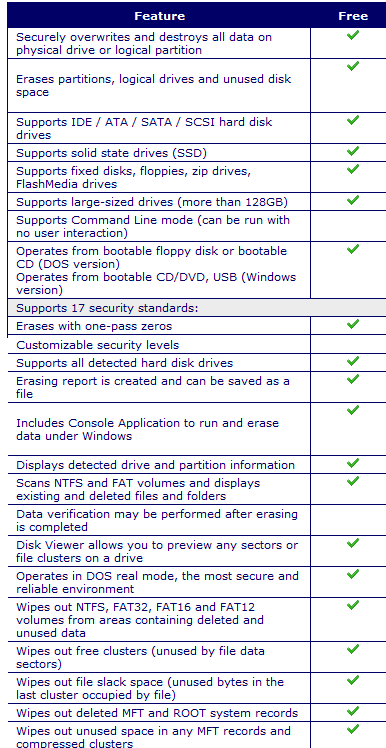 It lets you secure format your hard drives without any possibility of following data recovery. It does the job ofÂ unrecoverable data elimination for any computer which is capable of booting in DOS mode from floppy or CD/DVD. IT works on any operating systemÂ irrespective of its being Linux or windows as it uses access toÂ the driveâ€™s data on a physical level via BIOSÂ and hence bypassing logical drive structure organization. A breakup with detailed list of features can be viewed from the screenshot below. It even got a Paid version but as i often say, Free version is good enough for most of us. There are more tools available which does the same job as those I talked about with some minor or major variations. Use one of these tools whenever you need to throw your hard drive or any other storage media. There’s actually one good tool inside Windows that has some sort of value to be mentioned here. Open it in the prompt together with backslash and a questionmark for more detailed help and commands. 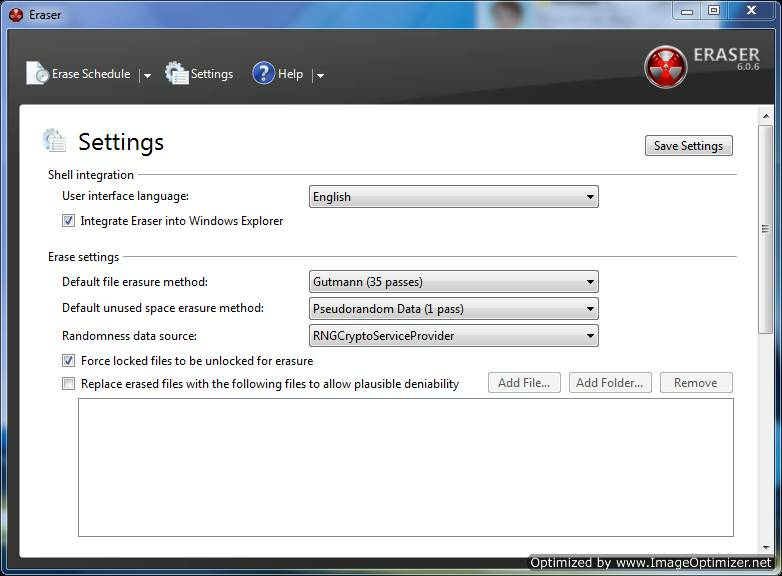 Very powerful and useful when working with files and directories, a program which already there. Thanx for the info. Will test them out soon.